Tempt your loved ones with our Delectable Kaju Barfi having high nutritional value. 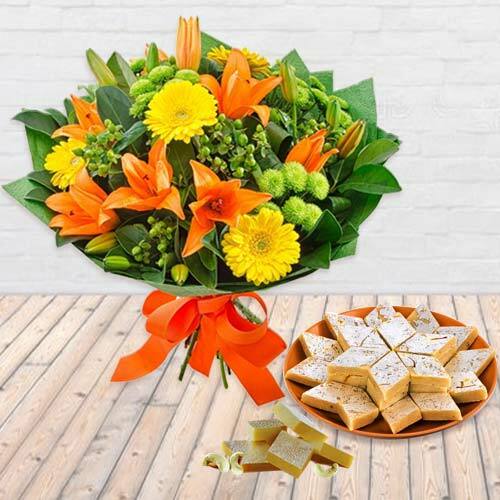 This pack of Mithai is delivered with Beautiful Seasonal Flower Bouquet consisting of Lilies, Gerberas, and Carnations. This 1/2 Kg (Gross Weight) Kaju Barfi with Seasonal Flower Bouquet forms an ideal gift for expressing your sincere thoughts.